I took the photo above on a trip I took to Paradise Valley, Montana. In addition to bringing back wonderful memories, it has some very relevant applications to painting fundamentals, both positive and negative. I plan to use it in a series of exercises that attempt to show fundamental rules of painting and how to relate to them in an artistic manner. Understanding value is an absolute essential foundation of painting. Simply put, value represents how light or dark something is, taking color out of the equation. There are technical and scholarly descriptions of this but, essentially, it defines the incremental levels of gray between white and black as the extremes. Everything else falls somewhere in between. An example of that scale is below. Understanding value becomes essential as it relates to elements of the landscape. The best way I've seen this described is through the book "Carlson's Guide for Landscape Painting" by John F. Carlson. This book is the single most referenced resource among landscape painters. It is absolutely essential to establishing a litany of fundamentals. 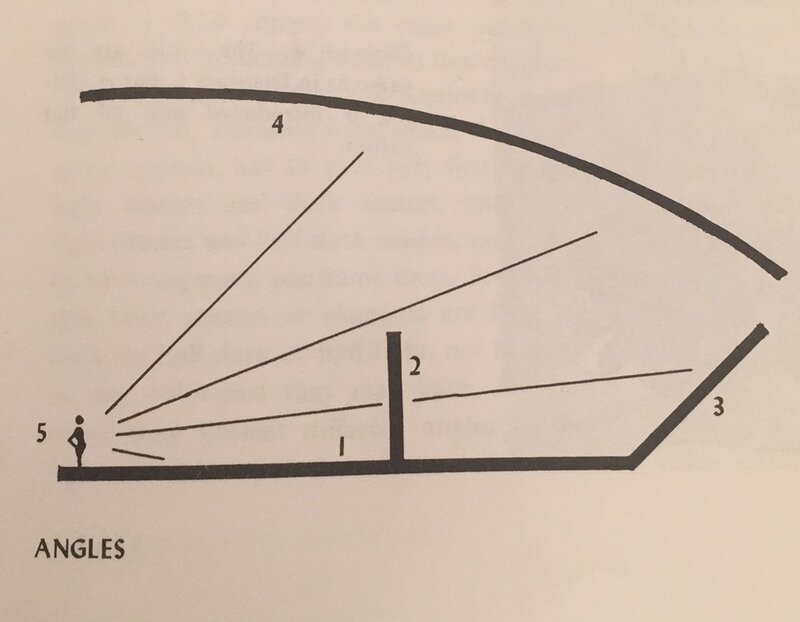 The book deserves its own post that I'll do separately, so let's focus on his specific description of the light's impact on planes and corresponding angles of the landscape. This exercise is an application of his Theory of Angles and a simple summary of what Carlson articulated so well. Do yourself a favor and spend ample time in Chapter Three: Angles and Consequent Values. It will have an impact on how you look at the landscape and your artwork! The logic is that, with the light source coming from the sky, the elements (planes) that the sky illuminates receive incrementally less light as the angle to the source becomes more perpendicular. More directly, the sky contains the source of light is the "lightest" value of all planes in the landscape. Next, the flat ground plane is (relatively speaking) at the closest angle to the sky and, therefore, receives the next most light. Moving through the angles, sloped mountains receive less light than the flat ground plane and, finally, the pure upright plane of trees (etc.) receive the least light of all planes in the landscape. Take my picture above and eliminate all of the color. This produces a black and white version and the masses begin to show the respective values as described by Carlson. 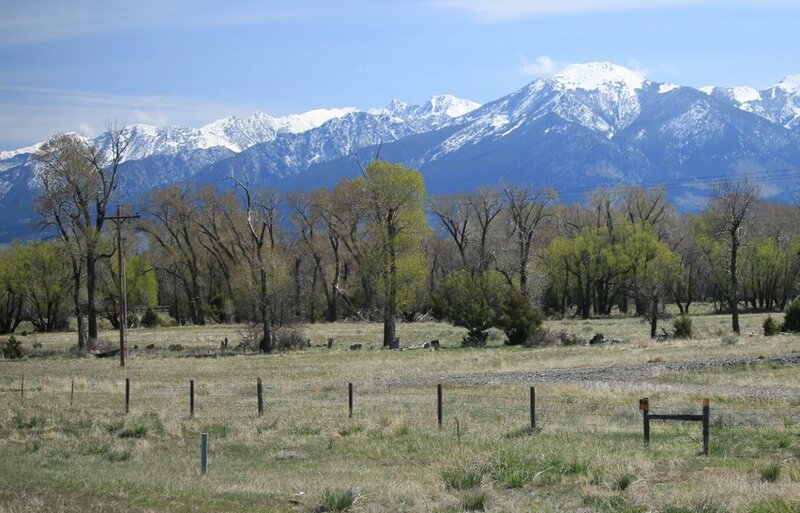 For this exercise, forget about the snow-capped mountains and the fence posts in the foreground; rather, look at the large value masses of the sky, ground, mountains, and trees. Then, compare the digitized representation of the photo on the right. In its most simplistic form, it shows the blocks of mass with their relative values identified. In that, you can tell the sky is the lightest, ground next, mountains follow, and the trees are the darkest. It takes practice and time, but try to think of masses this way and train your artistic eye to "see" in this manner. Simplify and relate each plane to the others, keeping in mind the overall value structure of the entire mass. From there, you can work within each mass to add variances of color and temperature for interest.